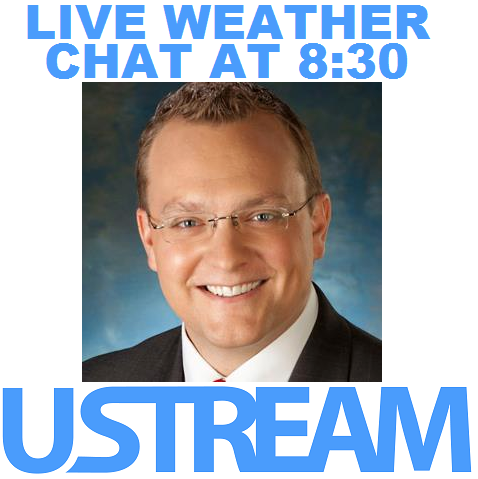 First off, if you are free at 8:30, go visit the USTREAM chat: http://www.ustream.tv/channel/live-wx-chat I will be answering weather questions about the winter storm on the way. 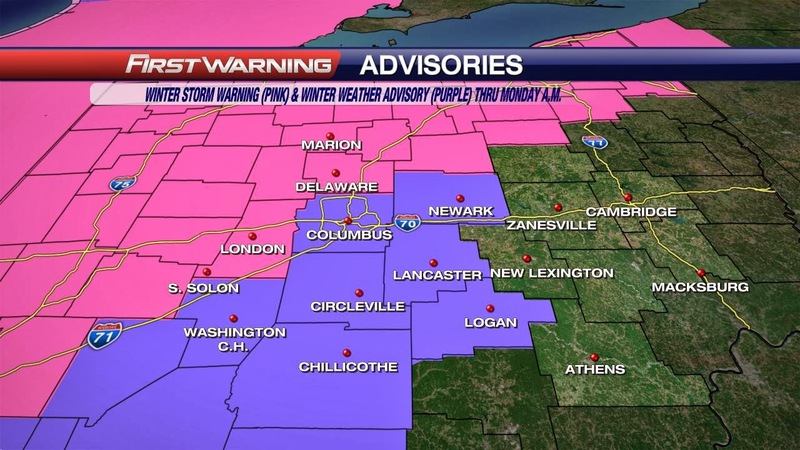 Winter Storm Warnings and Winter Weather Advisories for a lot of Central Ohio and especially NW Ohio. Dry and chilly tonight and early Sunday. Sunday midday, rain showers move in with rain/snow mix for Western Ohio. The rain/snow mix line will continue to push East through the second half of Sunday and we will transition over to snow showers for Sunday night. 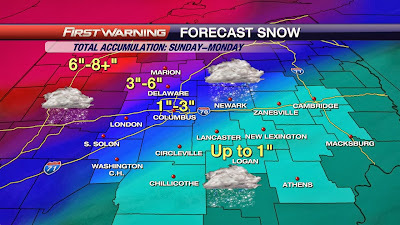 Snowfall totals, by Monday morning, for the Columbus Metro area look to be around 1-3". 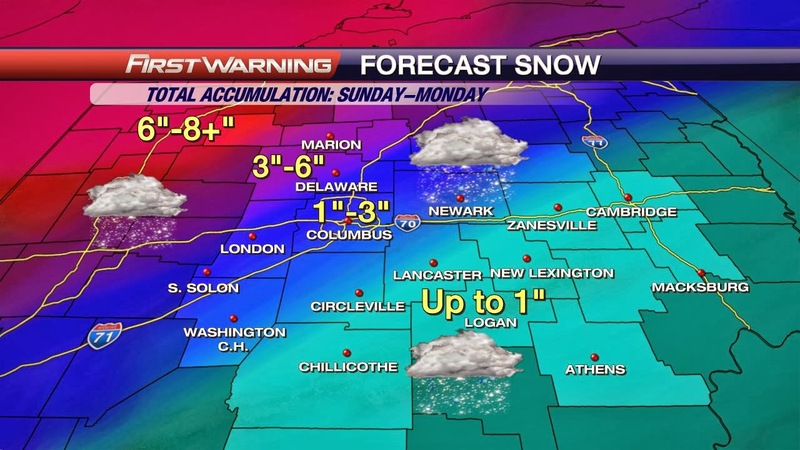 Areas Northwest of Columbus will see more snow, with 3-6" possible and even higher totals for far Northern and Western Ohio. Areas to the Southeast of Columbus will see more rain and less snow resulting in a snowfall total by Monday morning of generally Up to 1". With the storm in Oklahoma on Saturday afternoon, a slight shift in direction could greatly adjust the snowfall totals, so stay tuned to the forecast for any changes. Light snow showers remain Monday with any new accumulations less than an inch. The winter storm is just the beginning of dangerous weather. Our temperatures will fall Sunday night and continue falling until Tuesday morning. By Monday morning the temperature will be near 0F with wind chills around -20F. The temperatures will fall through the day to around -8F by Monday afternoon with wind chills around -30F. By Tuesday morning we will bottom out around -12F in Columbus and even colder in the outlying areas. Wind chills Tuesday morning will be between -30F and -40F. Frost bite will occur in less than five minutes for exposed skin. The record low Tuesday is -5F, set in 1884, so we are expecting to break a record 130 years old! Make sure to bundle up for the days to come! Jumping off of here to eat and then do the LIVE USTREAM chat. See you there and have a good one!